Past secrets have come back to haunt the residents of Freak House and their visitors. With the help of a 300 year-old ghost, Charity, Samuel and their friends peel back the layers of lies and deception to reveal the terrible events of 1867 that changed everything. At the heart of it all is a page of spells and two missing men. But as they draw closer to answers, Charity pushes Samuel further away. 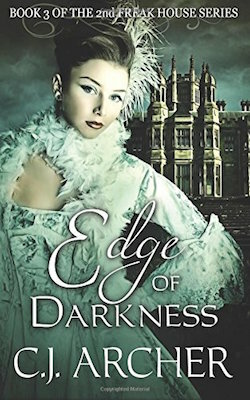 Desperate to win her love, he hovers on the brink of madness and misery. One small push might send him over the edge. The sensational conclusion to the Second Freak House Trilogy is full of twists, turns and heart wrenching moments that will stay with you long after you reach The End. Copyright © 2019. C.J. Archer. All Rights Reserved.